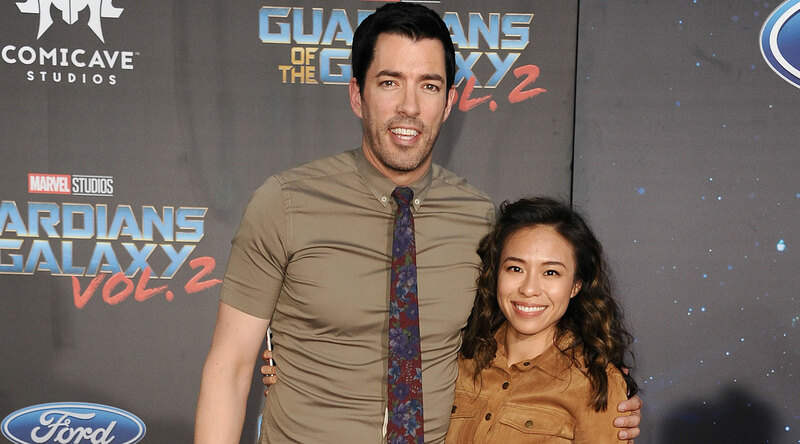 With visions of Italian decadence dancing around in their heads already, it’s tough to imagine how HGTV star Drew Scott and his fiancée, Linda Phan, could be turning up the greatness of their wedding a couple notches. On top of having an intimate Italian wedding, Scott and Phan will add a little Dancing With the Stars into the mix. With the help of Scott’s recent DWTS dance partner, pro Emma Slater, he and Phan are going to incorporate some of the DWTS magic he no doubt picked up during his recent stint on the reality competition show. How cute is that? On Friday, Slater posted a photo set to her Instagram that gave fans a sneak peek into the intense dance prep she is going through with Scott and Phan. Slater appears to have enlisted her husband and fellow DWTS pro, Sasha Farber, to help properly train the couple. “Look who’s learning their wedding dance!! This day was hysterical! I gotta say, even though Drew has had some incredible dance training @_lindaphan I think you might have picked this up quicker!!! Me and @sashafarber1 had a blast!” Slater captioned the photo set, which showed Phan in some very animated poses, including one where she was perched on top of Scott’s shoulder. What exactly do these two have planned? From the rest of the caption, it looks like this dance rehearsal will be a part of an upcoming episode of Property Brothers at Home. This undoubtedly means that we’ll not only get a look at these dance rehearsals, we may even get to see more reactions from Phan about taking dance lessons and the rest of Scott’s family when they hear just how the couple is preparing for their first big wedding dance. One thing’s for certain: Scott and Phan’s first dance will be anything but boring if they’re going to add some DWTS pizzazz to their routine. Let’s just hope someone has the fortitude to keep a camera rolling on the big day so we can see how they do!